I ask it every day when the kids get home from school, especially when the temperature’s below 40 degrees. Their answer is usually, “Yes.” No complaints. No whining that they froze their butts off on the playground at recess. Kids like to run around outdoors after sitting in a classroom. It’s the one place where rules, structure and oversight take a backseat to play. This is their brief daily hiatus to just be kids. 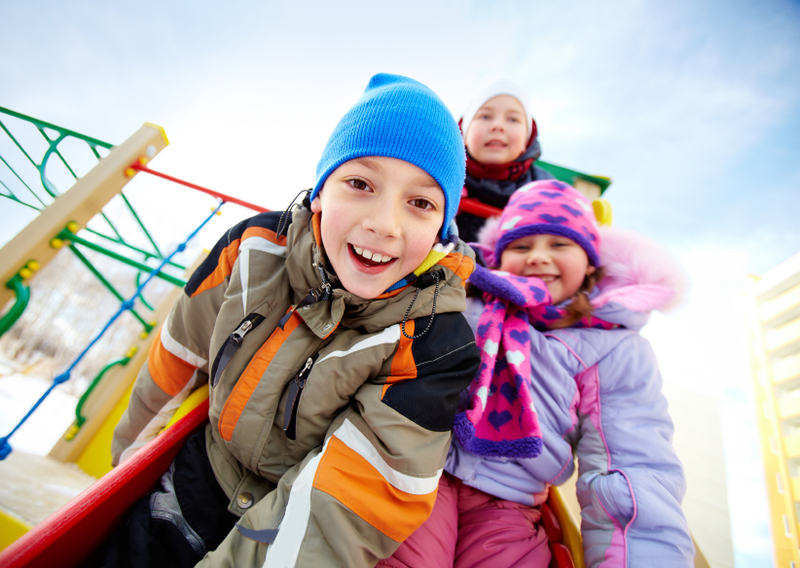 Of course, before school I’m the one cajoling them to wear coats, hats and gloves because, “You’ll probably go outside for recess today.” For a while I wasn’t sure whether the school would keep them cooped up in the cafeteria or send them outside. But after a groundswell of parents put pressure on the school last year, led by one determined and heroic mother, our students spend at least fifteen minutes in the brisk fresh air every day. It wasn’t easy. The Mom-in-Charge emailed, called, and scheduled meetings with school administrators. She started with the Principal, was kicked down to the Assistant Principal, kicked it back up again and then to the Superintendent. She emailed fellow moms, asked them to email and call, scheduled meetings with the moms, and eventually got her meeting with the school. The result? A new strange form of indoor recess that I wrote about last year. But at the start of school this year, Mom-in-Charge started again, reminding all of us that winter would soon come and our children would face four more months without the benefits of playing on their own terms for at least a few minutes every day. When November came, the kids went outside for recess. They stayed outside in December. Even when it dipped down below 30 degrees. Even when it snowed. “Mom!” Daughter called when she arrived home after school one day in January. “We were at recess when it started snowing and they didn’t even send us inside!” She was thrilled. The school didn’t make a huge announcement about the change. We did receive an email from the Principal reminding us that the children would be going outside for recess if they were dressed properly. Success!